Since this month is the month we all celebrate fashion and style and with Milan’s Fashion week starting yesterday what better time would it be to introduce stylish and fashionable mummy Christy Osborne. 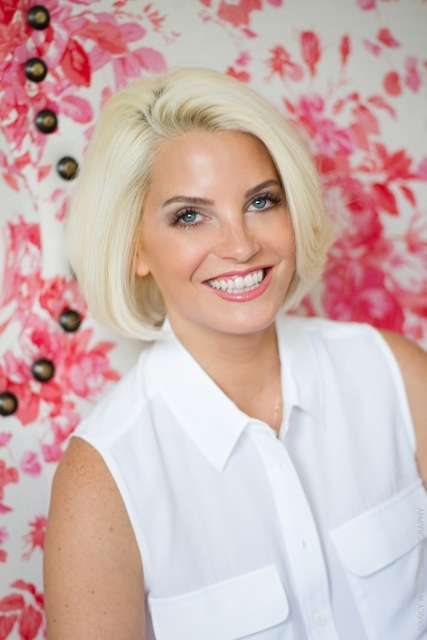 Christy Osborne the founder and writer of American Girl in Chelsea, a mum of 2, ex lawyer and owner of social media and PR agency. Pretty damn impressive! So you can see why Royal Mums were eager to find out how this mumpreneur manages it all. RM: Tell us who is Christy Osborne? CO: Hi! I grew up in Los Angeles, and during my third year of university I came to study at the London School of Economics. immediately fell in love with London and knew I had to get back. After graduating University I went to law school and again studied in London for a year. It was then that I got engaged to my now Husband, Chris, and he secured a job with a law firm here. We packed our bags and moved away from the sunny beaches of Southern California and never looked back (although I do visit home quite a lot). After moving to London I worked in Parliament until I fell pregnant with our daughter, Ella (Mini-AG as she is known on the blog). Two years and two days later our son, Carter followed. Instead of going back to work full-time, and so I could be around the kids everyday, I worked part time as a law school advisor and started the blog. After building the blog, brands started asking me to help with their twitter, instagram, Facebook, etc, so I founded Hashtag Haute, a businesses based on building a brand’s awareness through social media. Because there is such a cross over between social media and PR these days, it was easy to expand the business to then include public relations. One of my closest friends in London, Nikki Salamony, who has an extensive background in PR jumped on board and now we are both super busy managing health, beauty and lifestyle clients based in London. So long story short, that’s me. Wife, Mom, Ex-lawyer turned blogger and now social media and PR guru. RM: How was American girl in Chelsea born? CO: I love to tell this story because I think it’s so funny. Apparently friends, and friends of friends, had sent around my contact info to American ladies moving to London. I started receiving all these emails from women asking me where to rent a flat, who to contact for visas, but also,who was the best hair colourist and where did I get my nails done. I replied to each email handing out my tid-bits of advice. Then, one day a handy-man who was helping me around the house told me he had started to pass out my phone number because there were a lot of Americans moving into Chelsea, and they needed my help. I relayed all this to some girlfriends over brunch one day and they said“You need to start a blog!” American Girl in Chelsea was born! RM: How do you manage work and children? CO: An amazing support system. My husband, Chris is an incredibly hands-on Dad. No matter how late he is at the office he always gets up and makes breakfast so he can see the kids. I also have a part-time nanny, which obviously helps a great deal. It was harder when the kids were babies, but now they are almost 5 and 3, and I have more time when they are at school/nursery. I feel really really lucky that the blog and Hashtag Haute have started to “take off” because they really keep me busy while the house has no little people in it. RM: Your makeup always looks so immaculate, what’s your daily makeup routine ? CO: DOES IT? That’s sweet. I take ZERO credit here. I have three amazing women that I SWEAR by. First of is Dr. Shawanna Vali at theLondon Medi Spa. She has totally and completely changed my view of skin care and facials. I only see her now and will only use the products that she recommends. She’s gotten my skin in such great condition, so obviously that helps with make-up, and unless I am going out somewhere special, I don’t use much. The second person is my incredible make-upartist, Scarlett Rainer. I am addicted to her make-up and I now call her whenever I am going any where special or important. She’s also taught me a lot about make-up on the way. As far as everyday school-run to office make-up,it’s Dr Vali’s products, and then a tinted moisturizer by Laura Mercier, The third woman I can’t live without is Claire Linette. My eyelashes are totally fake, and are her amazing work Eyelush and at Neville. I get them done every three weeks, and it saves me tons of time with the make-up routine. I never ever wear mascara, and most days nothing on my eyes at all because of the fab lashes. No matter what though, I always have to have some sort of lipstick on Lipstick makes me happy, because it can always make you feel better about yourself! RM: If you could describe your style how would you describe it? CO: Moving from L.A. to London has changed my style alot. In L.A it’s ok to be in gym clothes and flip-flops, but in London you have to be polished most of the time. I’d like to say that my style is classic. As I’ve gotten older, I will only buy pricey items that I know I will wear again and again and again. That being said, I definitely have days where I feel preppy, and other days I feel more edgy. So I guess my style changes depending on my mood, and what I am doing that day. RM: What’s is a day like in your household? CO: My kids are not good sleepers, so we are usually up by or before 6 AM. My Husband makes breakfast for the kids and I get them dressed. The school bus picks up Ella and then one of us drops off Carter at nursery. After that I try to squeeze in a quick work out either in Ride Republic Cycling studio or barrecore. Then I come home and work/blog until the it’s end of the day school run time. If I’m lucky, after dinner and bath time for the kids, I can escape for a dinner with girlfriends or meet Chris for a drink. RM: What is your favourite ‘mummy’ bag? I’m now out of the nappies and bottles phase so I don’t really need a bag that can hold a million things. It’s SO liberating. If I do need to bring something for the kids I will generally shove it in whatever bag I am carrying. I have a royal blue Prada bag that holds a lot and a red Celine mini luggage that actually can act as luggage if I am hauling snacks and toys. RM: What are your favourite places in Kensington and Chelsea to go with your family? CO: Purple Dragon is great for the rainy days, and we all know there are A LOT of those. I love St Luke’s park when the weather is nice. If we are going to eat out with the kids we’ll do Riccardo’s on Fulham Road (Ella loves the pasta, and Carter loves the pizza), Byron, or The Goat on a Sunday for their kids lunch. RM: Now the question we are dying to ask is how doyou manage to be such a stylish mummy? Any tips for us mums who need help? CO: In order to put together a cute outfit, you have to be able to know what you are working with in your closet. It sounds simple enough, but at one stage my closet was a disaster. I had pregnancy clothes and jeans in every size imaginable from having the kids. I met Vicky Silverthorn and she spent a day with me going through everything in my closet. We gave away a LOT, and then she organized everything else to perfection. I can now easily see what’s in my closet, and I don’t buy things anymore if I know I have something similar. It really helped me being able to put together outfits, and also showed me where the gaps in my wardrobe are to make further investments in the future. RM: What are your plans for 2015? CO: With the kids out of the baby stage, and having more time during the day, I am really trying to grow both American Girl in Chelsea and Hashtag Haute. With the blog, I am trying to write almost everyday, and have recently introduced style posts which are really fun. Hashtag Haute has some amazing clients right now and I am really excited to see what’s in store for both them and the company this year. Tanya’s Café, the raw food café in Myhotel Chelsea is a great client and she is opening up additional locations so that’s such a fun project to beworking on, and I am so passionate about the whole situation. We also just brought on Ride Republic, a new indoor cycling studio in Parsons Green, whichis going to be AMAZING. Those are just two of the amazing clients I am working with, and the client list seems to be growing. Ultimately I’d love to bring on some additional account executives and possibly grow the businesses out of my home office. Fingers crossed!